Over 150 local farms and producers will keep the harvest rolling in this season at Vancouver Winter Farmers Markets two weekly winter markets. Starting November 4th, these festive and family-friendly events will run rain or shine and offer Vancouver’s best source of winter produce, locally raised meat, poultry, & eggs, sustainable seafood, craft alcohol, artisanal cheese & bread, a wide mix of prepared food, wild harvested products, handmade craft, and food trucks. Find a selection of food trucks and hot drink vendors along with market musicians for your enjoyment. There are plenty of covered seating areas and warming stations too. 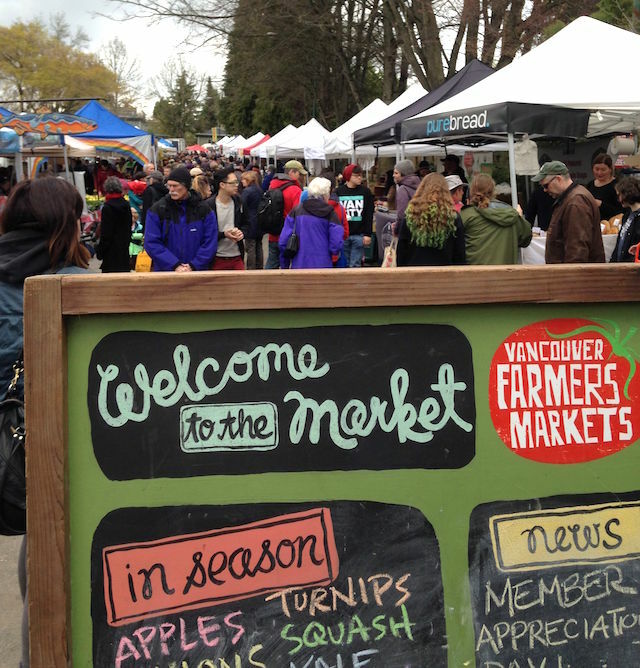 Hastings Park has 20+ new vendors this season – including farms, cheesemakers, craft alcohol producers, food trucks, and artisanal food producers. There is free parking for market shoppers at Gate 2 off of Renfrew St.
Other highlights of the weekly Winter Markets include live music, face painting for kids, educational activities and community programming, and a great opportunity to connect with local farmers and producers.